By 2 AM on Saturday, the wind is up out of the northwest. Distant thunder is a precursor to rain showers. The cold front is on our doorstep here in Marathon. Throughout the early morning hours, wind speed intensifies. Cutter Loose becomes agitated in her slip. The downside to our location at HCC is that our slip is exposed to the northwest, north and northeast. At this time of year, less powerful cold fronts become stationary before reaching the Keys. This front, however, is robust. We are about to experience the power of an intense cold air mass that is displacing warmer air to the south. The frontal boundary passes over Marathon just before daybreak. In hindsight, our decision to leave Naples on Wednesday has already begun to pay dividends. Being in the open waters of the Gulf of Mexico in these conditions on Saturday would have been a mistake. By mid-afternoon on Saturday, the wind is out of the north at 25 knots. Cutter Loose is behaving like a caged bull in her slip. By evening, wind speeds reach 30 knots. The motion below in the cabin defies sleep. Every hour throughout the night, we monitor wind speed and direction in the hope that the winds will clock rapidly to the east. At daybreak, we resign ourselves to the reality that it will take several days for weather conditions to return to normal. Temperatures are now in the mid-fifties with 30 knot winds. Shorts and t shirts give way to fleece sweaters and jackets. At 8 AM on Sunday, we enter the Marathon Community United Methodist Church in a state of sleep deprivation. Despite our low energy level, we bundle up for an afternoon bike ride to the grocery store. Ever so gradually, the wind clocks to the northeast and reduces in intensity. By evening, sleep comes easily despite bouncy conditions on the dock. Monday brings clear skies and warmer temperatures. Conditions are returning to normal. 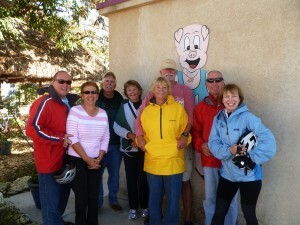 We gather together for breakfast with buddy boaters at the Stuffed Pig. Afterwards, a bicycle ride to Grassy Key is the perfect way to celebrate our return to shorts and t shirts. Everyone on the dock seems energized by improved weather conditions. Tuesday is our final day in Marathon. As such, provisioning, laundry and boat chores consume the day. 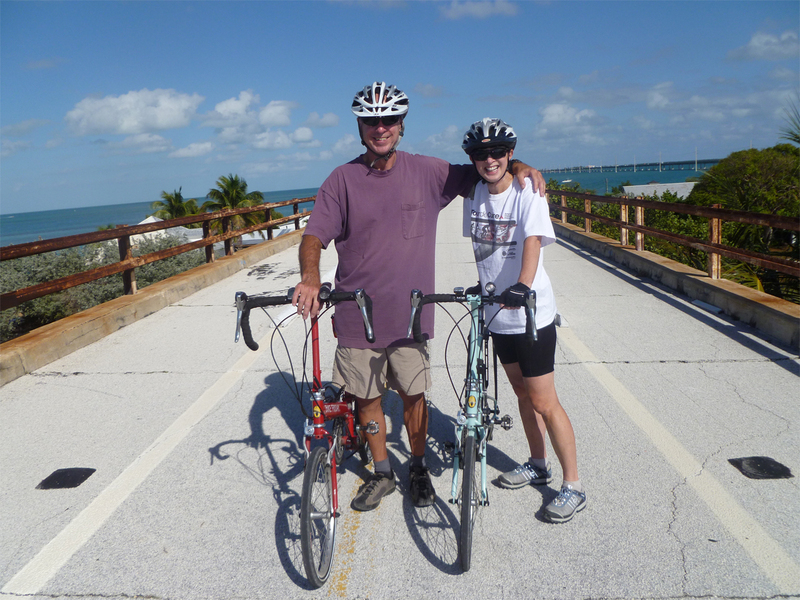 A short afternoon bike ride to Pigeon Key via the historic Seven Mile Bridge is a fitting reward for having completed our chores. A special Valentine’s Day dinner has been planned in the outdoor dining room at Harbour Cay Club. All of the slipholders bring a dish. The women are presented with bouquets of red roses. Heart-shaped flan is served for dessert. Social events such as this are the trademark of Harbour Cay Club. Everyone on the docks is made to feel welcome and appreciated. 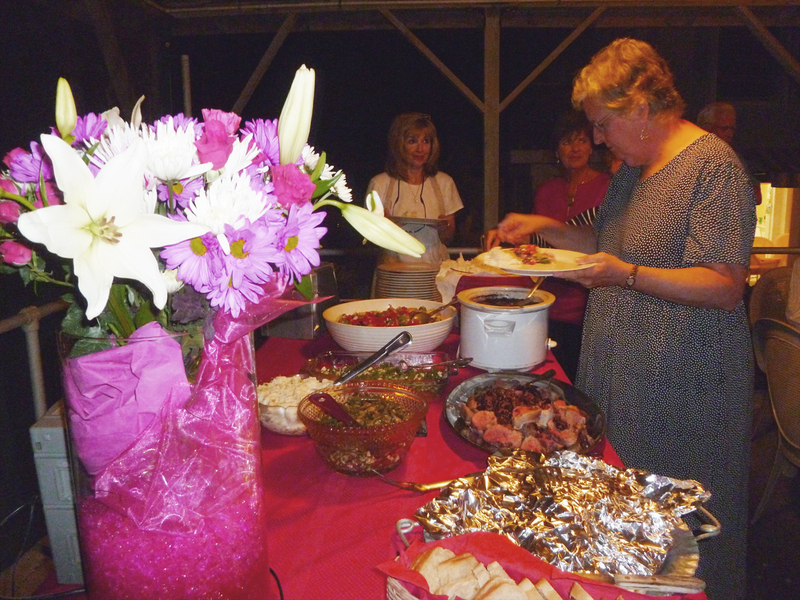 We use this gathering as an opportunity to bid farewell to our friends at HCC. Tomorrow morning, Cutter Loose will begin her return to Biscayne Bay.